Schwinn understands they’ve got the best brand recognition in the business and that people associate them with the bike they rode as a kid, for fun. We liked the city bikes they showed at PressCamp, including a fixie, bar bike, and the flax-tubed, LED-lit Vestige. 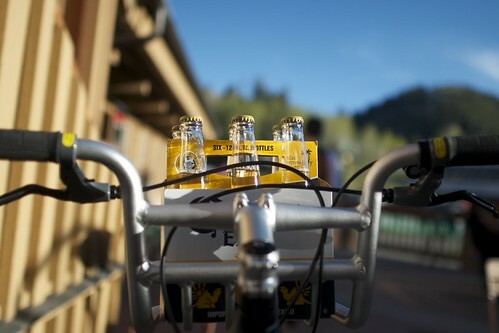 The dynamo hub powers internal LED lights. They glow and pulsate. 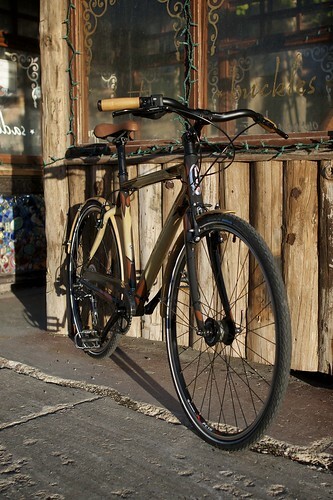 A disc-brake bike with porter-style rack and another made with flax and glowing lights? Sure. Visit your bike shop and buy a bike just for the novelty of it. 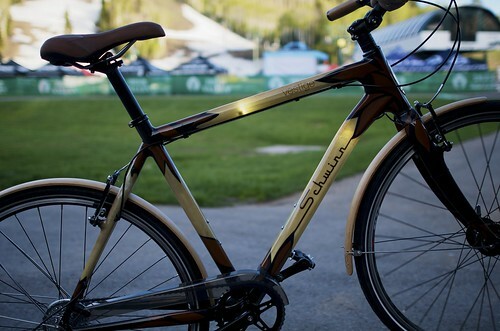 Fenders made of bamboo and tires with recycled rubber in them? Bonus. I rode the Vestige and had a good time and imagined riding it with a group. Also hacking the light kit for more patterns. Add a boom box to the front and you’ve got a party bike. Maybe it only sees the bike path and who cares? Pricing and availability on the Vestige wasn’t available. It won a Eurobike Gold last year. When it ships expect a carbon fork and Shimano 9-speed drivetrain with Alivio derailleur. Also see our post on another flax bike. This one is made for racing.